Hey, do you think I could join your team? Taking the entire team of sailors as a whole, it’s pretty easy to overlook some of the consistencies in the infancy of the series. The fact that it started out as a team of five is probably simple enough to over look, when you consider the strong super sentai 1 fighting team roots the series was based on. When the series was first starting, it probably made a good deal of sense that Ms. Takeuchi just went in order. 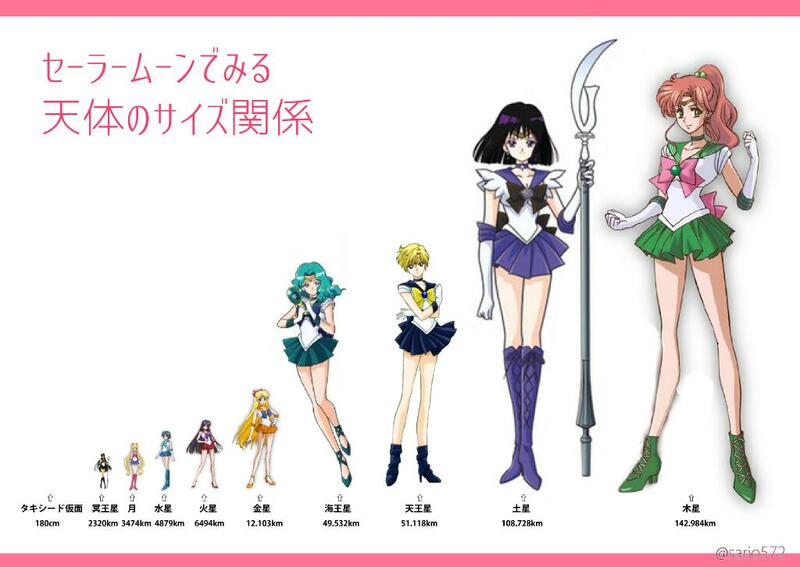 After all, for quite awhile fans thought that the next Sailor Soldier after Makoto was going to be Naru – as Sailor Saturn! Obviously that never wound up happening, but it’s interesting to see where things could have gone in the early days of Sailor Moon. But regardless of how that all played out, this does leave us with a perplexing problem to solve: why is Sailor Jupiter a member of the Inner senshi? Before I go on, I’ll freely admit that what I’m writing about here is just a theory of mine, and is in no way necessary proven by statements made by Ms. Takeuchi or within the series. But considering we don’t have any firm answers anyway, it’s worth diving straight in and figuring out what we can explain away! The dividing line between these two sets of astral bodies is an asteroid belt that lies between Mars and Jupiter, which is exactly what makes this whole situation annoying. So let’s just assume that the names are simply wrong. What other explanations can we find to explain the teams then? What if, when Sailor Moon S / the Death Busters arc rolled around and Ms. Takeuchi started thinking about introducing new Sailor Soldiers, she decided to break the new team up not by their location relative to the asteroid belt, but by their date of discovery. Would that tell us anything else? Possibly. Except for the Saturn conundrum, but we’ll deal with that shortly. You see, the original six planets of our solar system – Mercury through Saturn – were known to ancient astronomers as early as 2000 BC.4 It wasn’t until 1781 – nearly 3,700 years later – that Uranus was finally discovered. So if we look at things timeline-wise, that gives us a pretty good reason for why Ms. Takeuchi decided to make the next to Sailor Soldiers to be Uranus and Neptune, and not start with Saturn. Later on, when Pluto joins the two of them and we learn that they are entrusted with the three talismans, that’s when we start seeing the term Outer senshi start to get bandied about. So the theory actually looks pretty good, even up through the summoning of Sailor Saturn and her destroying anything and everything we hold dear. When they first summon her, in fact, Sailor Saturn is always referred to as if she is her own separate entity – neither an Inner nor Outer Sailor Soldier. If anything her identity seems more juxtaposed to Sailor Moon, rather than simply being yet another member of a larger team. If we consider Sailor Saturn needing to be the cut-off point between the two teams as a necessity of the plot, it actually all looks pretty good. 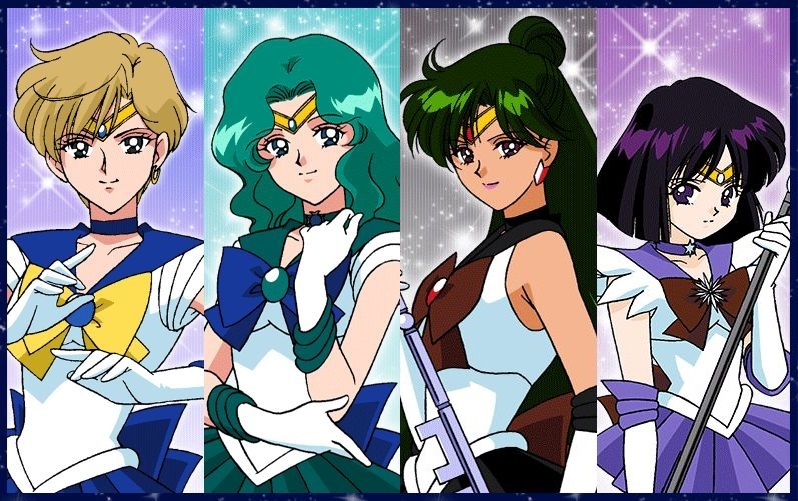 In fact, once she comes back to life and grows up again under the watchful eyes of Haruka, Michiru, and ever-the-third-wheel Setsuna, you’ll notice that Sailor Saturn is frequently paired off with Sailor ChibiMoon, almost making their own group of outcasts outliers, together with the Sailor Amazoness Quartet. But does this hold water? Is Sailor Saturn really in a team of her own? Yes and no. As good of an explanation as this is, it all gets ruined with Hotaru’s triumphant return in the manga as Super Sailor Saturn in the battle against the Dead Moon Circus, where she… yep, states that she has awaken to her duty to protect the princess and as a member of the Outer Senshi. So that basically torpedoes my theory on the teams being nicely split up not necessarily by their commonly used “inner planet” and “outer planet” designations, and rather for how long they’ve been known to human astronomers. Where does this leave us? Well, we’re basically stuck with the ill-fitting names the series used, though they did a good job explaining them away as that the “inner” Sailor Soldiers were charged with fighting threats from within the Solar System, while the “outer” Sailor Soldiers were charged with fighting those from beyond. In that case, I think there is still a decent argument that can be made for Sailor Saturn not actually being a member of the “Outer” team at all – she simply joined them in an honorary fashion much like Sailor ChibiMoon did starting from Sailor Moon S. While I don’t believe this is actually the case in the story, the way that Uranus, Neptune, and Pluto treated her prior to the unforeseen reincarnation kind of backs it up. But now that you know what I think, I’d like to know what you think! How do you think Sailor Saturn fits in with the two teams, especially when you consider how she often gets paired up with Sailor ChibiMoon for the last two story arcs. Was it just a matter of her age, or was Hotaru something of an unofficial member of the Outer Senshi? 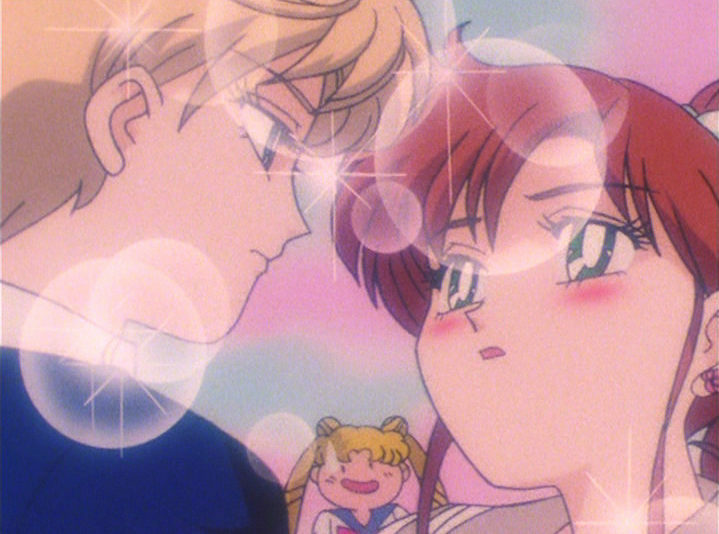 ← How Many Sailor Senshi Are There in the Sailor Moon Universe? You’ve given us a lot to think about! I think just for the sake of it being easy to identify, we’ve always just lumped the two groups as inner and outer senshi as “the original 5” and “the others”. It definitely isn’t a fair way to identify them, especially with the whole Jupiter problem. Now, going by “when they were discovered”, that’s a really cool idea, and I’m happy to entertain that as a definite possibility for why they are grouped off in that way. But Saturn is a wildcard. She’s actually kind of not supposed to exist, in a sense. Does she belong in the outer senshi group? Maybe and maybe not, but I kind of think that despite where she “belongs”, she’s in that group whether we like it or not. That’s just my opinion. Maybe she is more of an “honorary” member, but for simplicity’s sake, it seems that’s just where she gets posted. That being said, Chibi Moon doesn’t seem to belong in either group. She’s just, there, like the cats, or Tuxedo Mask. She has her own identification. I see what you’re saying how Saturn should be her own thing too, expect she’s supposed to protect the princess. But technically, Small Lady is a princess too. It’s possible that she is given permission later on from Neo Queen Serenity to protect the NEW princess. We don’t know exactly what happens to the “outer” senshi Crystal Tokyo. (except Pluto) So it’s possible she does become part of Chibi Moon’s group down the road! Yes, that is an interesting issue. 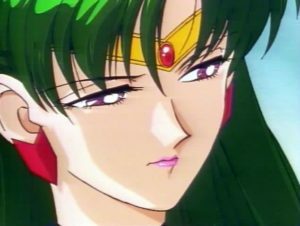 There have been many debates about why Sailor Jupiter was part of the inner senshi, regardless of her planet’s status. But i think it might have been you who said that five was a balanced number, with one leader (Moon) and the rest of the team, (mercury, Venus, Mars, Jupiter). I agree with the fact that Naoko might have thrown in Jupiter to balance out the team. 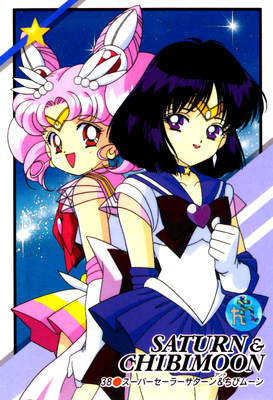 Whereas Sailor Saturn is an interesting issue. I always considered her to be part of the outer senshi, but i recently re read Naoko’s comments in one of her artworks, and she said ‘the appearance of the outer senshi’ with a picture depicting Setsuna, Haruka and Michiru. You’re absolutely not wrong that the term “Inner Senshi” isn’t a canon term. However, that still doesn’t answer the question as to why Jupiter isn’t a member of the Outers. Yeah, that’s probably the best way to think about her character. Makes sense! I do not know why they need a division other than the story claiming they need to defend against threats from outside the solar system. Other than that I do not understand why they need to be outer or inner soldiers. I guess the only other reason to divide them was because the story was originally going to end with only 5 soldiers and then when the manga author decided to add more sailor soldiers maybe she thought it would be too confusing having so many characters and needed to group them. I mean maybe what they should have done was did the R/Black moon storyline after S or something because it was confusing why the outers did not appear during the future( I know they were not created yet, but still). I think Saturn is part of the outers and she probably would be more so if the manga author/anime did not give her the storyline/relationship to chibi moon that she got and if she would have been the same age as Uranus and Neptune. The same probably applies to sailor pluto. The outer soldiers have Neptune and Uranus the same age and pluto older and Saturn younger. If all 4 were the same age and Saturn/Pluto did not have the storylines they had it might have been more clear that she definitely belongs in that outer group. This is very true. The need to separate into an “inner” and “outer” team felt very arbitrary and unnecessary, especially in the manga. In the anime, it made a bit more sense because they pretty much wanted to get rid of the outer senshi in Sailor Moon SuperS, so it made enough sense that they called it a “different team,” meaning that they no longer were needed. But from a story-telling standpoint? You’re absolutely right. I think it would have worked just fine – though a bit clunky – as a large, 10-person team. I think the simplest answer basically lies in the fact that Sailor Moon was a series that (in all fairness) was being made up on the go. If we go by the source material, the Inners were all introduced very early and close to each other in the first arc. With the intention of immediately setting them up as a team. The Outers by comparison, were introduced across the span of two arcs, and weren’t properly considered one until the fourth. So it was probably retroactively seen as easier to just package them all together. Which makes me wonder what would happen if they discovered more planets. It might be worth mentioning, that I have seen the term ‘Inner’ occasionally being used to refer to just Mercury/Venus/Mars/Jupiter, and excluding Usagi (she’s not a planet either). So it nicely balances out as four between each. Saying that, whenever you mention the Outer Senshi, nine times out of ten people generally tend to think of Haruka and Michiru (as a pair) first. The other two tend to be seen as just there a lot of the time. I say that with some degree of sadness, since I like them more. Going back to something I talked about previously regarding Saturn. The biggest problem that has always faced her, is the writers tendency to treat her more like a plot device, then as an actual person. Because her abilities are the equivalent of global armageddon, it’s a bit of a struggle to make her work in typical everyday situations that the other Senshi are more reasonably suited for. When it came to Setsuna, no one seemed to know quite what to do with her after the second arc, since that’s where her overall importance to the plot basically ended. 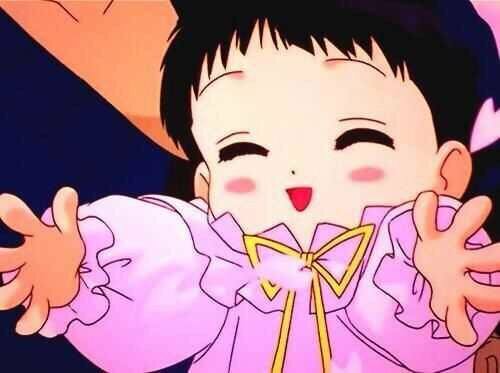 To the addition of Hotaru replacing her as Chibi-Usa’s best friend. The Anime seemed like it was initially going with the idea of making her into some kind of unofficial leader, before offing her at the end of S. Then she just pops back up in Stars with no explanation. Likewise, Naoko kills her off in the future, then resurrects her in the past (not going to bother trying to figure that out) for no real purpose beyond buffing up the Outers ranks. It’s a similar case with Hotaru. Who had precious little purpose after being central to the third arc. And as a result, got a severely reduced role afterwards. This is kind of why I preferred the idea of letting her stay with her father, and growing up to live a normal life. It makes for a more satisfying closure to her story. Especially since Professor Tomoe was far more sympathetic in the Anime. In fact, I got the impression that Toei originally never intended to bring the character back, and that Saturn would just be a one off. She didn’t even make an appearance in the movies for one thing. But then they suddenly changed their minds and hastily rectified that for the beginning of Stars, seemingly to keep it more in line with the Manga. But again, nothing is really done with them, and it’s Haruka and Michiru that get the primary focus. On a personal note, I always wished for Hotaru to have more in the way of interaction with the Inners. For me, she felt more at home with them compared to the other three. Where she doesn’t seem to have much in the way of a social life. For example, it would have been nice to have had a few scenes like this. It also disappointed me that she didn’t at least get paired up with Jupiter in the Nehelenia mini-arc. So I guess I am in that very exclusive club where I say she’s an Outer, but secretly prefer/want her to be an Inner. OMG, yes! I’m part of that club too! I was screaming my head off when Jupiter and Saturn didn’t get paired together, because in my point of view they would have made a great team. Jupiter with her raw physical power, and Saturn with her Silence Glaive would have been the one and only #teambadass . It is indeed hard to view Saturn as part of either team. You mentioned in another post how she is effectively the nuke of the sailor senshi, so she really only appears against major head hancho villains (Pharaoh 90, Nehelenia, Galaxia.) Thus she seems to have no role in either teams plight against the day-to-day villains, or even lieutenants. She does have that weird aura power, but I’ve never seen her use it voluntarily. It only seems to flare up when Hotaru is in danger, not Sailor Saturn. It’s ironic that she is more similar to Sailor Moon in this regard, who is almost useless in the day-to-day fights, (and constantly needs to be saved) but is the one you want to whip out against the planetary busters where everyone else fails. I think this is probably the best way to interpret the situation, at least initially (and before she became a member of the Outer Senshi in the Dream arc). She really wasn’t a member of either team and just served as the Galactic Reset Button for any and every problem that came their way. Seems like a pretty lonely position, so I guess I’m glad she became an honorary member of the Outers! You know. I think the term ‘inner’ and ‘outer’ was more a reference to the court they belonged to in the silver millennium. I didn’t honestly even know this was a thing people speculated about and I’ve been into sailor moon since I was twelve and let’s not talk about how many years ago that was now… it’s older than I’d like to admit to being after all. I would go with saturn being a senshi. It’s heavily implied she was sort of feared because she has this doomsday ability to wipe everything out-everything-but it costs her life and doesn’t discriminate friend from foe so it’s basically the ability to end everything. She is the senshi of death and rebirth and it’s implied her awakening was stopped because of fear of her abilities during the silver millennium. That is after all, why they have the talismans to begin with. The original sailor saturn we see is basically vanquished so sailor saturn of the current incarnation is different from the other senshi who harmonize to some degree with those they reincarnated from- the person ‘sailor saturn’ was, was different in the anime. You can argue manga I guess… but I think it’s an interesting addition to the series to have her be something new. That is basically what she is essentially. Like sailor moon herself, who was not sailor moon in the silver millenium, sailor saturn was not aloud to BE sailor Saturn in the past and sailor chibi moon is also new, as obviously, she wasn’t born during the silver millennium at all. With the way the inner senshi dynamics are and the way she is basically adopted and raised by the outers… it would stand to reason she’s be comfortable joining what would be considered the ‘outer court’. There is a reason the outers were originally so much stronger than the inners. The inners weren’t much warriors to begin with. more like they trained to fight inside threats and would have been, by what we know, ladies in waiting as much as guards and companions to there princess. A common practice among royalty of certain areas of the world at many points. After all, they’d more fiercely protect her if they grew up with her and while it specifies they were princesses in there own right… the practice would unlikely happen if they were the firstborns. In other words, if your a guard to a ‘high princess’ then your not likely going to inherit a throne yourself. Not unless someone or a couple someones in succession die anyway. Thinking on both history, the politics of history and the way those things worked as well as sailor moon and everything involved, that is my take on it. Well I don’t get why people either want or feel that Naru is not an Outer Senshi. Again even in S I don’t feel like she was portrayed as being something different from the Outer Senshi and neither do I feel she was in the manga. She was always referred to as a member of the Outer Senshi and was explicitly referred to as such in the 90s anime and manga. o_O I assume you mean “Hotaru” here?